I took this photo in rainy day of June 13th 2017 from the top of a building in Ginza Tokyo looking down the crossing. 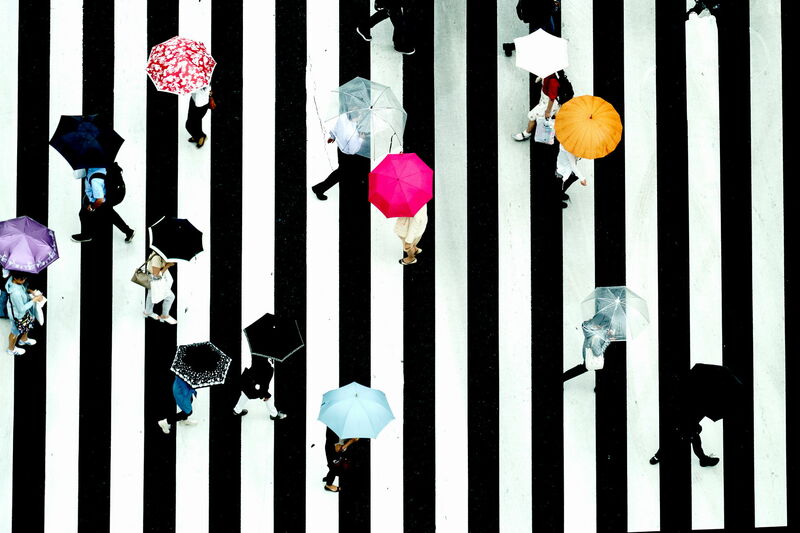 My idea was good contrast of colorful umbrellas and black-and-white stripe image. It was great honor that this photo was commended in the Open competition at the 2018 Sony World Photography Awards, it was selected from 171,603 images entered from 210 territories and countries.